Deregulation of the electricity market is the real reason why your electricity bill keeps rising. The Lowy Institute has released a poll which shows that a record number of Australians are unwilling to tackle carbon emissions if it means that they’d have to pay additional electricity prices. The poll showed that the number of Australians who agreed with the statement that “Global warming is a serious and pressing problem (and) we should begin taking steps now even if this involves significant costs” has fallen from 68% in 2006 to 41% in 2011. When asked “If it helped solve climate change how much extra would you be willing to pay each month on your electricity bill?“, the most popular response is nothing at all (39%), which is up from 21% in 2008. Only 19% of Australians were prepared to pay even $10 more a month. Electricity prices in Australia have been steadily rising. 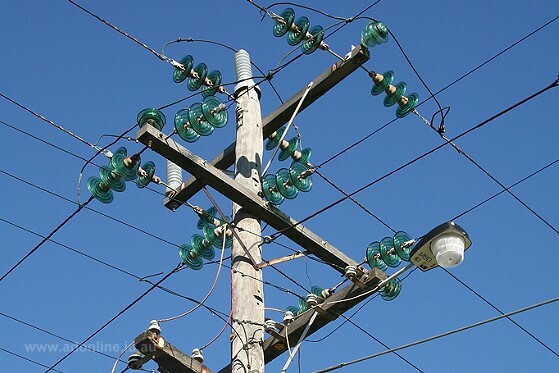 According to research by the Institute of Public Affairs, electricity prices in parts of Australia have increased at nearly four times the rate of inflation over the last 5 years. Between 2005 and 2010, electricity prices rose by 61.3% in Sydney, 56.8% in Melbourne and 50.7% in Brisbane. Perth had the lowest capital city price rise of ‘just’ 35.8% over that period. Electricity is an essential service and hence in New South Wales, Queensland, Western Australia, Tasmania and the Northern Territory the electricity market is government-owned (with varying degrees of private competion). In the Australian Capital Territory, electricity is semi-privately controlled and is fully privatised in Victoria and South Australia. There has been much discussion lately about the introduction of a Carbon Tax, following Julia Gillard’s narrow win in the 2010 election. The government believes that in the absence of an Emissions Trading Scheme, a Carbon Tax is the most effective mechanism to provide a commercial incentive for industry to reduce carbon emissions and promote the development of a ‘green electricity’ sector. Many people recognise that the introduction of a Carbon Tax will lead to energy price rises, including in electricity generation which in Australia is predominantly powered by burning coal. As I write, the details of the proposed Carbon Tax (and associated concessions) are being negotiated between the government, the Greens and the three independents. Nothing is certain. Yet below the hysteria and the debate, electricity prices have been rising sharply. Many people mistakenly assume that the price rises are the result of the not-yet-introduced Carbon Tax. Others believe that it reflects the “rising cost of electricity”. Nothing could be further from the truth. In reality, your State Government is to blame. It’s called deregulation. In 2007 and again in 2008, the Australian Energy Market Commission recommend that the State Government of Victoria should cease regulating electricity prices as there was “sufficient competition” in the sector. There was quite a push for this to happen, from the Council of Australian Governments to the OECD. Whilst the other states were still developing plans to remove price caps, Victoria’s Labor government under John Brumby deregulated electricity prices in 2009 and from thereon in, it became a free-for-all. Other states have followed. Yet it need not be. In most States and territories, the electricity sector is government-owned with a mixture of government and private retailers. In Victoria’s case, the former State Electricity Commission (SEC) was broken-up and privatised. The state’s electricity industry was transformed from a vertically-integrated state monopoly (the SEC mined the coal, generated the electricity, distributed it across the state and retailed the final product) to a fragmented privately-run affair. The SEC was profitable, yet it’s agenda was social rather than financial. In the states that have state-owned utilities, most of these are profitable too. Yet politicians speak of a need to “promote investment” in the sector and promote green energy. Surely this is no easier than in a profitable industry that the government principally owns and regulates? I am convinced that it is ideological blindness that prevents state governments from using their utilities for community good. Electricity is an essential service and one cannot feasibly live without it in Australia. The electricity sector is also a natural monopoly. I do not believe that essential services nor natural monopolies should be privately-owned. But even if you don’t share my social democratic views, surely it is difficult to argue that the Victorian model of a privately-owned sector subjected to price caps was less desirable to a laissez-faire free-for all, if one truly cares at all about the the cost-of-living. As others have validly pointed out, how can governments lament significant rises in the cost-of-living whilst their own companies are primarily responsible? It really doesn’t matter how competitive an industry is, nor how many competiting companies operate in a sector if the prices for everyone rise at such an alarming rate. Governments have chosen to inflict these price rises on the public. This was done by choice. The bad news is that prices are forecast to rise evern further now that there are no price caps, and that’s before a Carbon Tax is introduced! No wonder the appetite of the public to pay a carbon tax on electricity is fast disappearing. I am convinced that we collectively need to address the challenges of climate change, by reducing carbon emissions. I also believe that we need to look after all members of our society by ensuring that essential services are managed for the benefit of all. The rises in the price of electricity since 2006 have hurt lower income earners and promoted inflation, but done nothing to help the environment. With massive prices rises associated with the rental crisis, the housing affordability problem and petrol prices, one is forced to ask to who’s benefit these reforms were made? One could argue that a state owned electricity utility would be more likely to invest their profits into the wider rollout of renewable energy systems – it comes down into how much freedom their management have, and how much emphasis the government puts on sustainability versus returning a big profit to the Treasury. The only reason our current privatised industry builds wind farms is because of government incentives, and legislated renewable energy targets.